I think this is the fifth book I have seen from a team that has moved from Normandy to covering the key locations from the World War II battlefields of North-West Europe. In fact it is no spoiler to say I’m a tad behind with this one and another book arrived on my desk this week. Messrs Marriott and Forty have found a way of tapping in to the immense appetite for military history in general and the passion for battlefield touring that has gripped the likes of me for over a decade. Make no mistake – it is a pilgrimage pure and simple. Their books have found a way of being respectful to the ground breaking work of After the Battle and other guides without stealing the format or the depth. The authors have hit on a style of their own which feels more conversational and perhaps easier to take in. There is a sense of enthusiasm in them that gives the impression the authors have loved every minute of the process and that it has all been a bit of a hoot. I’m sure it has, but the final result has been a sequence of extremely satisfying books that tick all the boxes. We get good history, fantastic images and really useful connections with what there is to see of these places today. 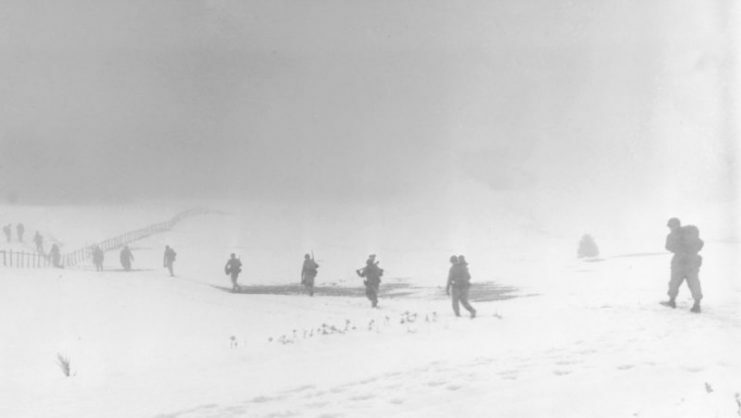 The Ardennes: Battle of the Bulge. 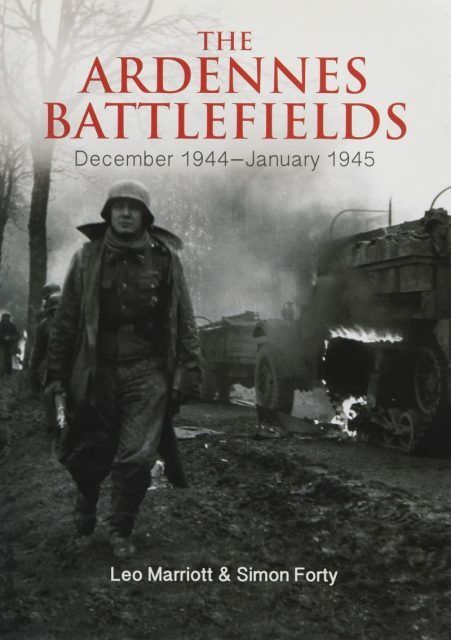 This time round we are in the Ardennes for the Battle of the Bulge or Unternehmen Wacht am Rhein; you choose, where all the elements that made the previous books so appealing are present. 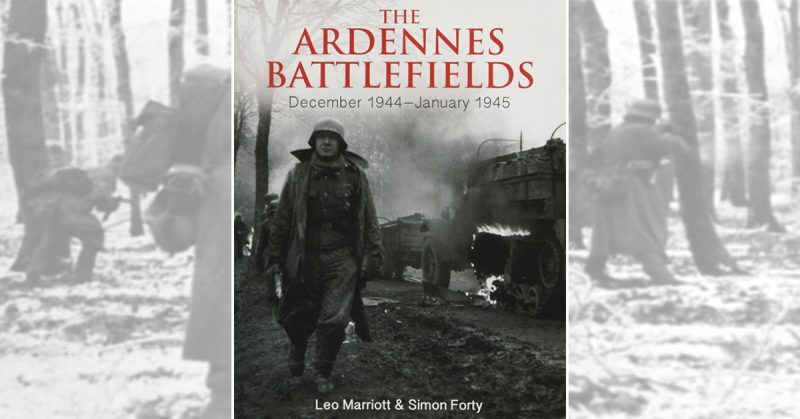 The book follows the sensible path of introducing the key figures from the allied and German high command that played a role in the offensive. There is a breakdown of the key units and dispositions and a look at the context of where things stood when the Germans went on to the attack. The authors take us to locations great and small and cover all the bases in terms of the legends of the battle and the moments that have gone down into history for good reason or bad. 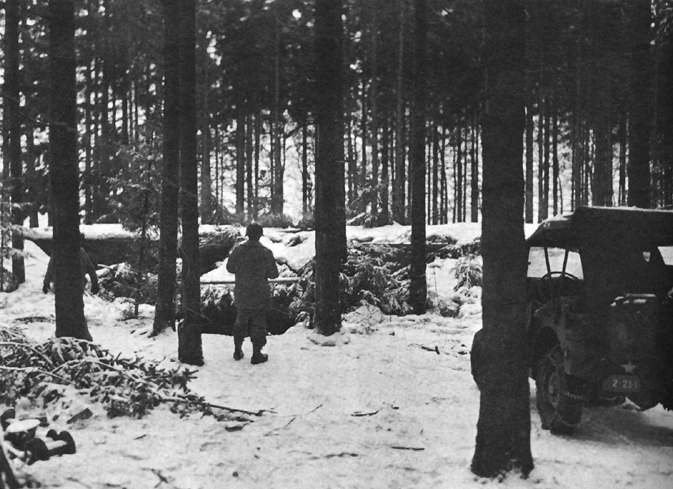 The Ardennes: Camouflaged Forest Pillbox. They treat all this stuff with care because there is a big picture to display that requires no heading off into tangents or too much concentration on the people and stories who have been done to death in books and on screen. While a chain of events like the Ardennes Offensive is generally well-known, placing the calendar in the correct order and providing the context to make understanding it easier is really important. We don’t need another book concentrating on Bastogne or even Malmedy when something making sense of the whole offensive is much more useful. 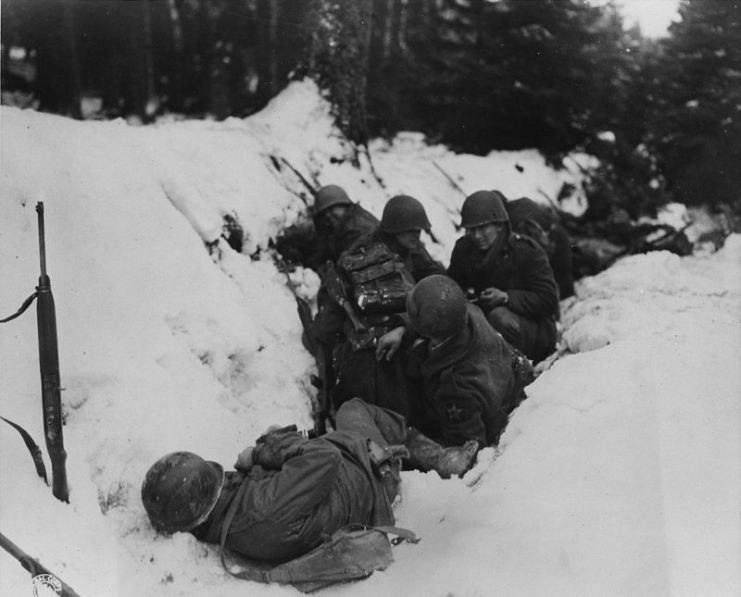 U.S. infantrymen of the 9th Infantry Regiment, 2nd Infantry Division, First U.S. Army, crouch in a snow-filled ditch, taking shelter from a German artillery barrage during the Battle of Heartbreak Crossroads in the Krinkelter woods on 14 December 1944. The authors have found a way of packaging it all into a book that will fit in your backpack if you’re on the pilgrimage trail, but one that works equally well if you have no intention of making the journey. This series of books are magazine-like in style but have the depth and the authority to stand up for themselves as a glossy hardback. The use of contemporary photography is well managed with a careful eye on presenting the wider story of well-known scenes and sequences of images. The modern day photographs work well and inform us of what to expect should we make the journey to the battlefield. This is just about all we can hope for. 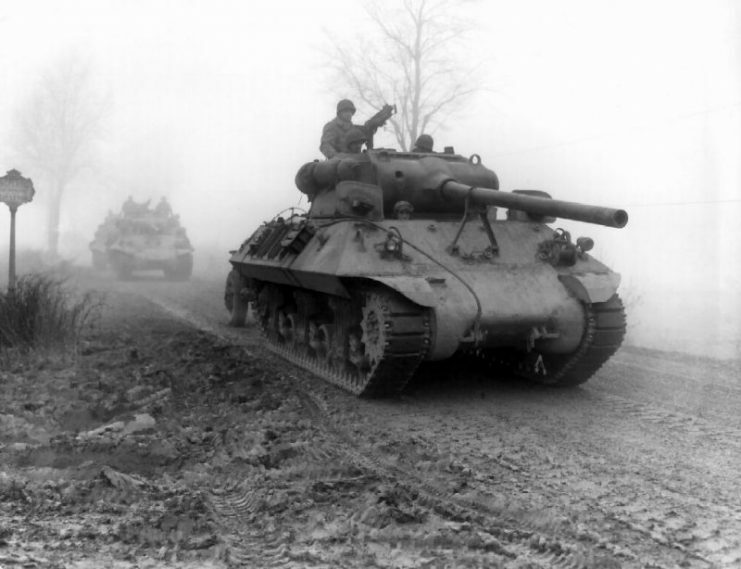 American tank destroyers during the Battle of Bulge. What I did admire is the way the book goes beyond the Bulge to look at the consequences. For me the Battle of the Bulge remains a standout moment because in parrying and then defeating the blow the US Army was then able to turn on it’s enemy and batter it into submission. The Ardennes was a disaster for the Germans in every sense but the delusions of Hitler and his acolytes were so entrenched they could not see what was coming. 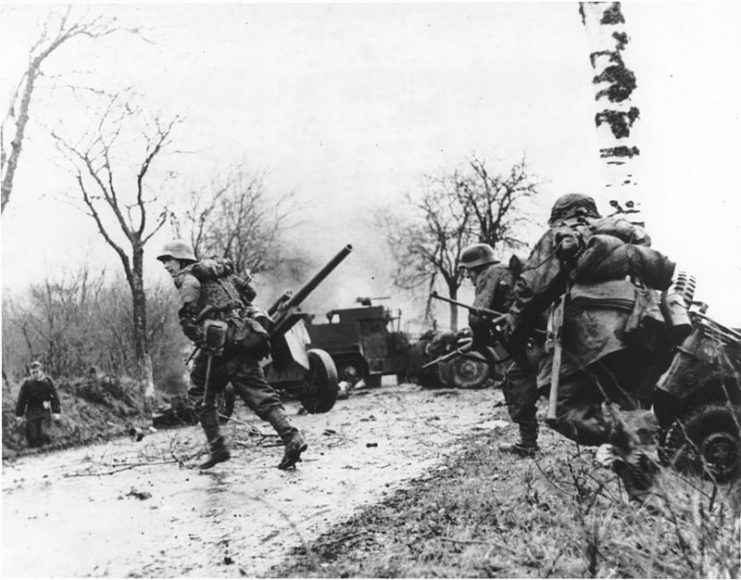 Hitler’s fatal gamble in December 1944 gave the western allies the springboard to push up to the Rhine and pour into Germany just as the Russians were doing so from the east. The sacrifices made by the Americans in the Ardennes were not in vain. Ok, this is a fair sized chunk of hyperbole, but the essence of it is entirely right. I love this book as much as its predecessors. The style works for me and I have found it to be useful and quite inspirational. The Ardennes is probably the last of the big WW2 battlefields in North-West Europe I haven’t visited in some way and I would like to address that. This is a book I will take with me when I finally make the journey.